This resource pairs with my "Parts of Speech Review Packet." Test your students understanding of all eight parts of speech. 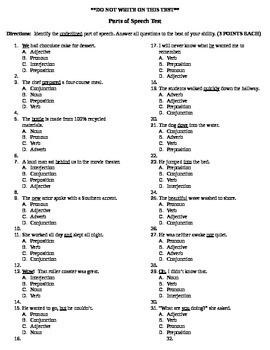 This test is 33 questions of identifying the underlined word. 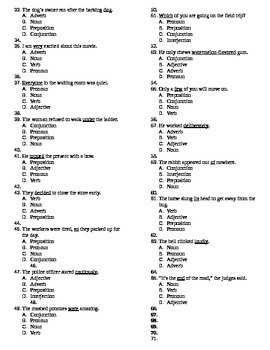 Test is multiple choice and requires students to clearly understand each part of speech to identify it.